The battlefield has long been occupied by warriors who stand ready to fight and die for god and country. 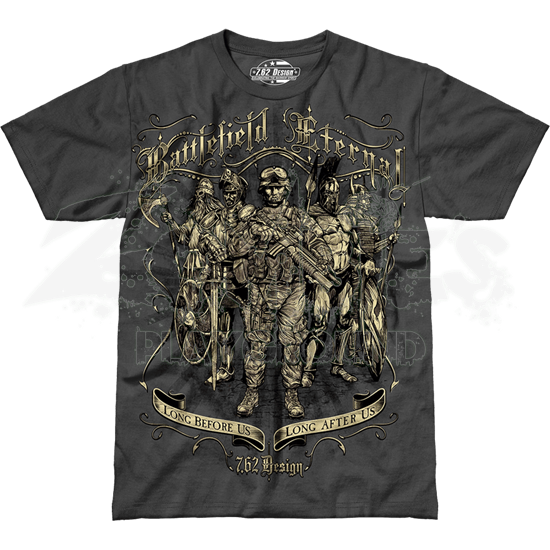 The Battlefield Eternal Jumbo Print T-Shirt depicts five warriors from historical periods together, united by their service. This military shirt features a Viking warrior, medieval knight, modern soldier, Spartan hoplite, and samurai. The shoulders of the warrior shirt display flowing script that reads, Battlefield Eternal. A pair of ribbon banners underneath the warriors offer the phrases, Long Before Us and Long After Us. The patriotic shirt is made from 4.5 oz. ringspun cotton, ensuring a comfortable feel. 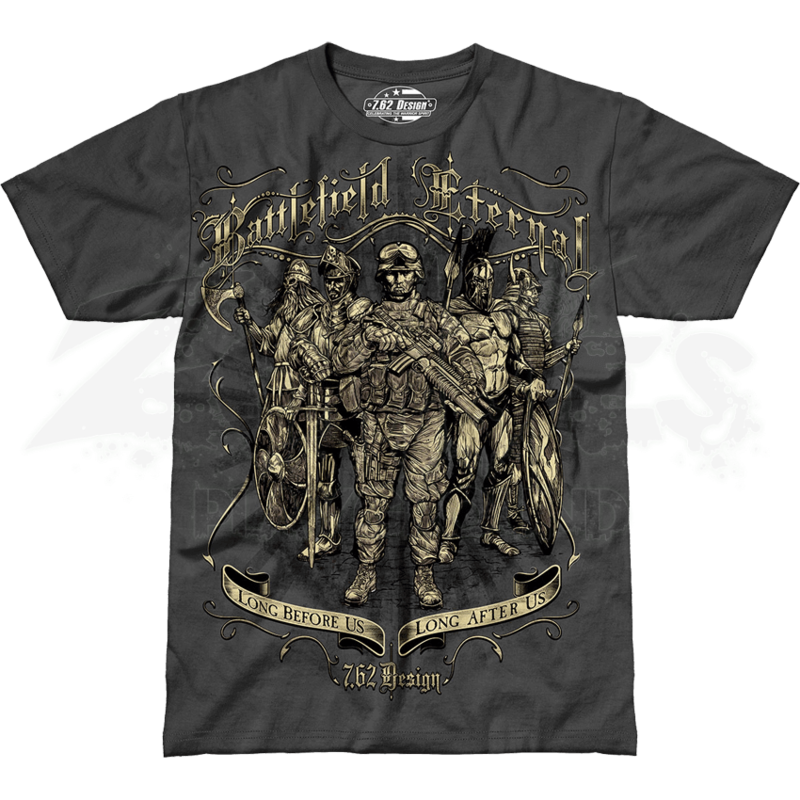 This squad of historical warriors is an impressive thing to behold, and that makes this Battlefield Eternal Jumbo Print T-Shirt a great garment for any military history buff to wear and enjoy on a daily basis.